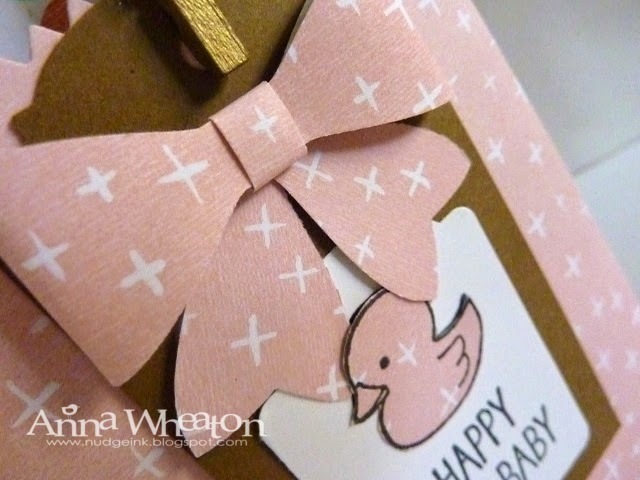 For cute packaging (think Valentine's Day coming up!) you have to have a play with the Mini Treat Bag Thinlit. Here's a baby version that was on show at my launch. 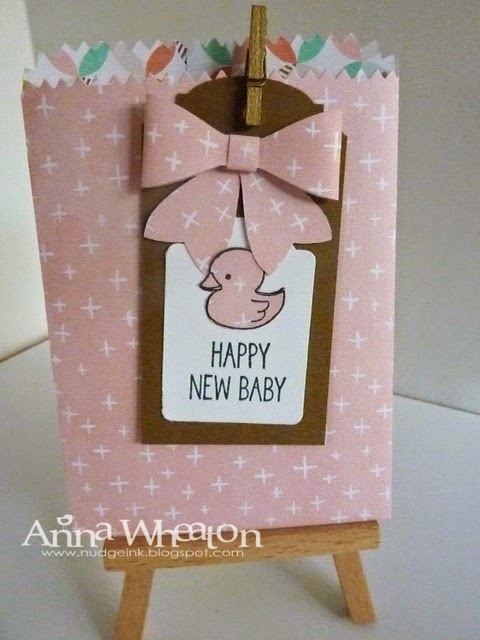 The tag is made using the One Tag Fits All stamp set which I paper pieced to get a matching duck! Do you like the Bow Punch with the tails hanging down? This would be perfect for a cute pair of socks or a baby singlet.